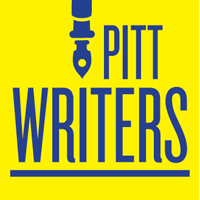 Longform is proud to be sponsored by Pitt Writers, the University of Pittsburgh’s Writing Program. The University of Pittsburgh’s three-year MFA program offers tracks in fiction, nonfiction, and poetry. Its nonfiction program is one of the oldest in the country, and graduate students work with such distinguished writers as Jeanne Marie Laskas, Peter Trachtenberg, Michael Meyer, and Maggie Jones to hone their craft. Current faculty include fiction writers Irena Reyn, Angie Cruz, and Bill Lychack and poets Lynn Emanuel, Yona Harvey, Terrance Hayes, and Dawn Lundy Martin. Graduate students are encouraged to cross genres during their course of study. Pitt’s nonfiction course offerings reflect broad student and faculty interests, from a broad range of readings courses to a digital composition workshop to hands-on experiential reporting in a required “Structures and Techniques in Nonfiction” course. The capstone of the program is a book-length manuscript, approved by a committee comprised of both writing and literature or composition faculty members. Pitt also funds a trip to New York City for graduating nonfiction students where they pitch book and story ideas to editors and agents at the nation’s top publishing venues. In addition to its innovative partnership with Longform, Pitt’s MFA program supports a digital literary journal, Hot Metal Bridge, edited by its graduate students; hosts a weekly graduate student reading series, SpeakEasy; and welcomes numerous visiting writers through the Pittsburgh Contemporary Writers Series. Now in its 13th year, the PCWS brings such prestigious writers as Anne Carson, Gay Talese, Sharifa Rhodes-Pitts, John McPhee, Anne Fadiman, Michael Ondaatje, and many more. As part of the Longform partnership, Pitt supplies interns who help select Longform site content, create reading guides, research for future outreach, and do other vital tasks for the site and app. The partnership is managed by Tim Maddocks. Beyond this direct collaboration, faculty and students at the University of Pittsburgh turn to Longform as a consistent and reliable source for the best new and classic nonfiction, many using articles from the site as their sole course textbooks. Notable Pitt alumni include: Rebecca Skloot, Jan Beatty, Terrance Hayes, Dave Griffith, Carolyn Kellogg, Sarah Wexler, John Temple, Kathleen Tarr, Michael Rosenwald, Eugene Cross, Aubrey Hirsch and many other writers and editors. If you are interested in applying to the MFA program at the University of Pittsburgh, please visit the application requirements page. To get updates about the program, follow Pitt Writers on Twitter or Facebook.